Each summer, the Tour de France races across the country, giving a select group of very talented cyclists a chance to see the country from a blurry perspective. On this cycling tour of the Loire Valley, knowing the difference between a front derailleur and a rear dropout isn’t necessary. 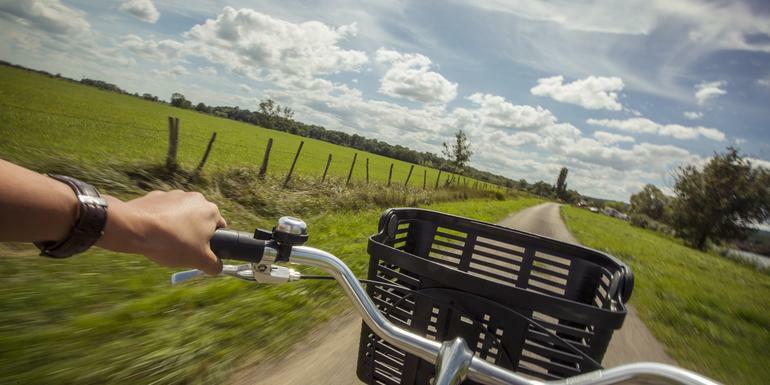 Hop on a bike and experience ornate chteaux, rustic markets, vineyards, and rural Gallic charm. Think of this as the perfect combination of slow food, fine wines, and remote country tracks – ideal for seeing the inspiring scenery. Explore beautiful Paris, cycle from one glorious chteau to the next, appreciate the lush Loire Valley scenery, visit local markets, taste wine in ancient vineyards, pedal through the Garden of France. Your Foodie Moment: Vineyard Visit and Tasting. Paris orientation walk. Cycling through the Loire Valley (5 days). Chateau de Blois visit. Entry to Chteau de Chenonceau. Market stop for local ingredients and picnic lunch (Tours). Chateau d’Ussé visit. All cycling equipment including bicycle. Luggage transfer between locations. Transport between destinations and to/from included activities. the magnificent three-tower, 12th-century Hospital of St. Jean; the arches of St. Serge Church; and a 13th-century castle (it has the 77-panel Apocalypse Tapestry of the Gospel of St. John). For a immense view, climb the castle tower. Also be sure to see the Chapel and the Logis Royal, the Fine Arts Museum and the Hotel Pince Museum. Several nights could be consumed in the area; there are several chateaux within an easy drive (other chateaux can be located in the nearby Loire Valley). A major industrial area in the Loire Valley, it is an ancient city and was often visited in pilgrimages to pay homage to the tomb of St. Martin, a former bishop of Tours.